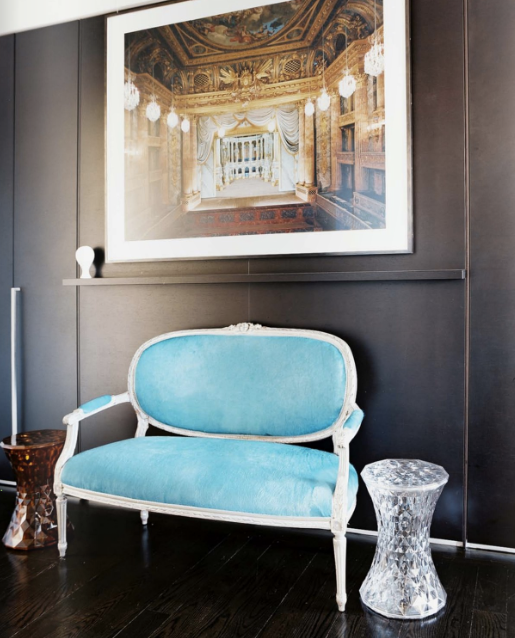 Here's a great start to a new week with the newest issue of Lonny Magazine! 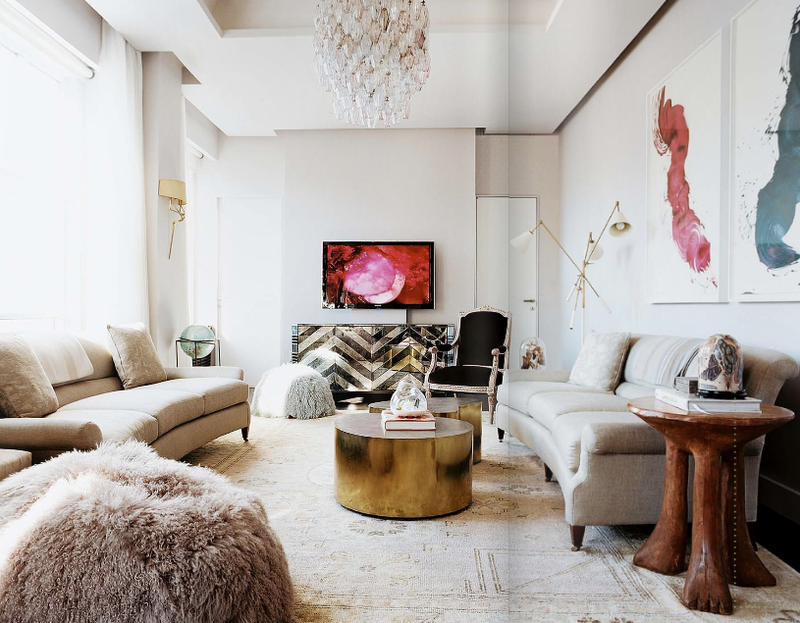 In this issue we get a great look at Michelle's (editor in chief) new apartment! My favorite is the dining area! 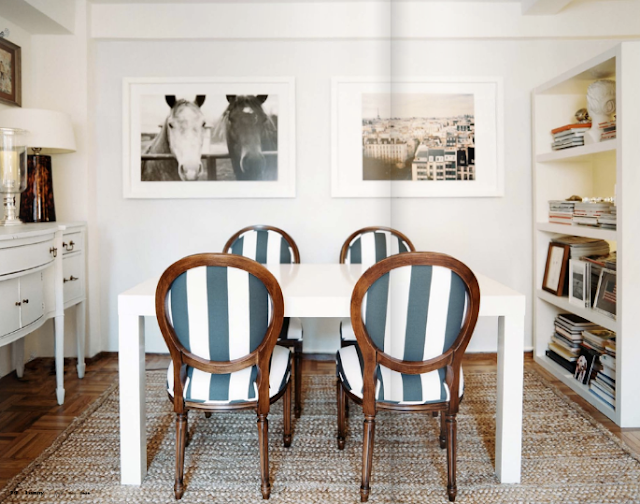 I've been wanting to re-upholster my current dining table chairs in a black & white STRIPED fabric and after seeing Michelle's I am sooo INSPIRED! However, I would have to re-paint my chairs, they definitely need a bit of a PAINT face-lift. If I'm feeling LAZY & don't want to take on the DIY, I can just buy the chairs ALREADY upholstered in a striped blk & white fabric directly from Ballard Designs. Something to keep in mind...hmmm. 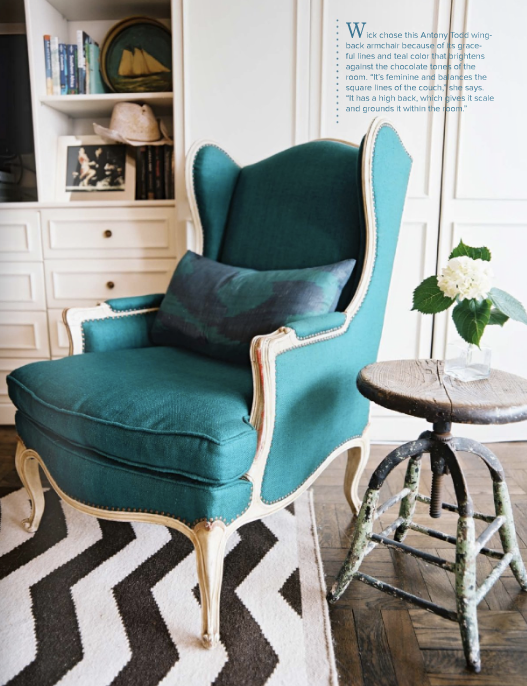 Ballard is great, I'm a big fan of their site, especially their chair collection. Have a great Monday and thanks to Michelle Adams once again for giving us all this eye-candy! Oh, those wide stripe dining chairs up top. I just unearthed a trunk load of fabric stashed in my old trunk. This was a good reminder to put to good use, vintage yardage of the same wide stripe in chocolate and cream. Oh I loved Michelle's home too. My favorites are those zigzag drapes, the headboard and of course the striped chairs! She's so talented! 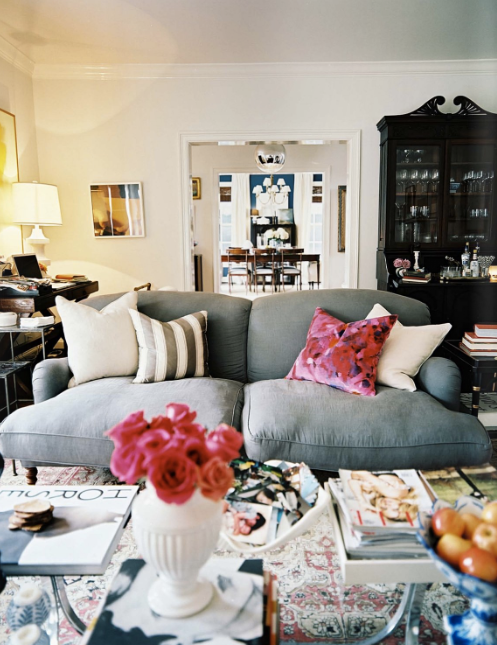 I like your blog, and I like the paintings over the grey sofa. definitely my fave issue yet. OMG Jennifer I love everything about this post!! Your blog is where I get like half of my inspiration!! yes, had a chance to quickly flip through over the weekend and fun! especially adore the second image/room -- so lovely! Jen, you get those b/w stripey dining chairs. And I might just follow your lead! Love the second image. (I can't stand contrived living rooms). And look at that blue peacock color on the back wall in the room far back. What a lovely contrast. Love the drapes... the decor is so bold and dramatic!! I think it´s look like a lot with you home, beautiful! Yes, I saw this, so excited for a new Lonny! Thanks for the screenshots!! and i couldn't wait for the next issue! 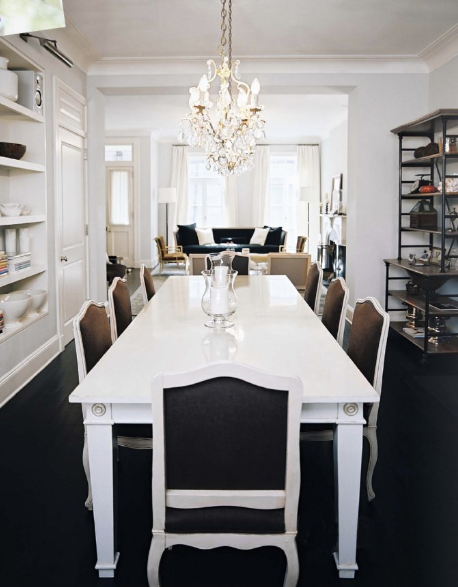 i'm loving the long white dining table and brown upholstered chairs plus the chair from the last image. Modern Chic Home Pillow Giveaway....!!! I'm one of the West Elm Winners! House & Garden Australia....take a look..
Graham & Green UK....Colorful Cushions!